Barn Appétit: I'm back, did anybody miss me? Maybe not, except for Gene, Max, Rose, Buck and all of the other two and four legged creatures who get fed at the Ironhorse Farm. Mind you, Gene does all of the feeding, but I feed Gene, so I guess I have some importance around the place. I have been to see my Mom, Jake, Kelly and David. 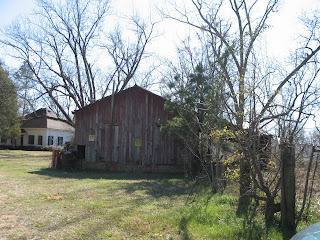 They all live close to each other in suburbs of Birmingham, in Shelby County Alabama. I had a great trip. My intent was to nurture my family, but they reversed roles and I came home nurtured too. Family works like that. I drove almost five hundred miles, alone, but not really. You see I took my cell phone, my link to the world, and my IPOD, my link to sanity and to the music world. My drive in both directions was a treat. My eyes were lenses, if only they had been cameras, I would have more to show you. I only took a few real photos on the way home. 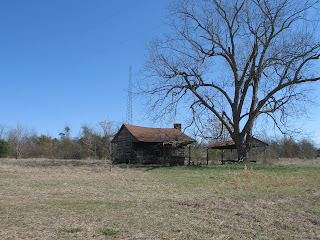 My photos do not do the rural countryside of Georgia justice. 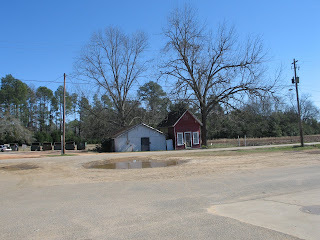 Red clay roads abound. 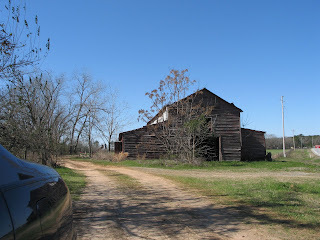 Dignified, unpainted barns and houses make me wish I could hear all of their stories. The remnants of cotton crops already harvested lying in fields, and groves of pecan trees tell the tale of making a living. The people in this area of Georgia look like they have always lived within their means. Looks may be deceiving, but I hope not. It has taken me a couple of days to cycle through doing not much in the kitchen arena but I am semi ready to get started again. 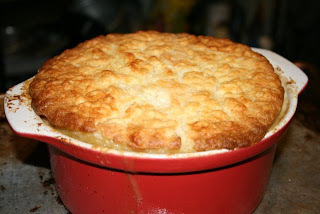 I had frozen my version of Ina Gartin's Chicken Stew(no pearl onions, added mushrooms instead) and I am planning to embelish it with a batter that I have used on an older recipe for Chicken Pot Pie. 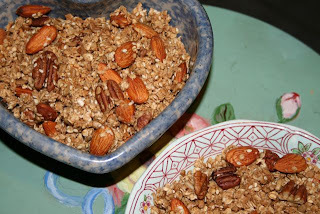 Then after we eat I want to make Nigella's Granola. 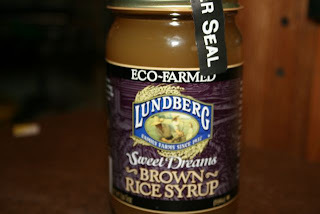 I was excited to find the Brown Rice Syrup the recipe calls for at the Whole Foods in B'ham. into large dice. You should have 4-6 cups of cubed chicken. chicken, peas, and parsley. Mix well. This is where I stopped with Ina’s recipe. 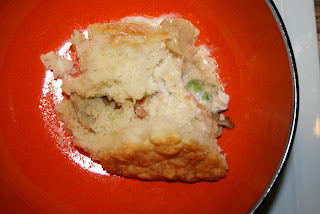 The night I made this, I divided the total into two casserole dishes, topping one dish with "ready to bake" store bought frozen biscuits, plopped them on the stew and followed the recommended temp and cooking time on the package. The second casserole I did not top with anything and covered it with plastic wrap and froze for a later time. 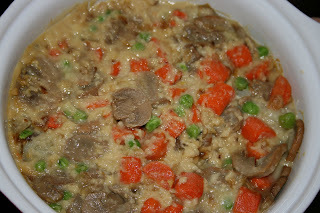 I defrosted my saved stew overnight in the fridge and topped it with the batter (recipe below) and it was delish! Mix the flour, buttermilk, salt and pepper together to make the batter. Spread onto the stew and pour the melted butter over all and take a fork and poke at it to distribute the butter. bake at for 425 for 50 minutes. *note; Next time I will heat the stew for 20 minutes prior to adding the biscuit batter topping and then spread to batter and bake. 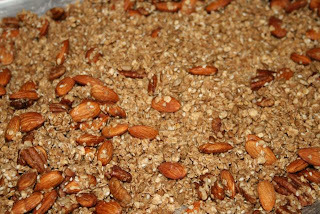 ingredients over the dry ones, and stir well. of the oven, but it will crisp as it cools. container. Store in the refrigerator indefinitely. The biscuit stew looks like it came out wonderful!